We know Curd is a highly nutritious with a good amount of protein and calories. It has many health benefits including helping digestion system. In addition, we like to eat curd as it is tasty too. We also use curd to marinate some food item before cooking. It also makes our food tastier and we get a different taste as we use curd. 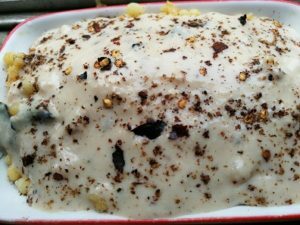 Here I described two curd recipes: curd cutlet and boondi raita. Usually, we make cutlet with meat and vegetable. Here I used curd for making cutlet. This recipe is not so hard, it is easy and the taste is also good. It is made as a good snack. Hope all of you like this new cutlet. Put curd in a clean cloth and hanging this for 10 minutes so that water can remove from the curd. Crush bread and mix with curd. Add green chili, sliced onion, egg, sliced cilantro, cumin powder, and salt. Mix all together and divide into 6 portions. 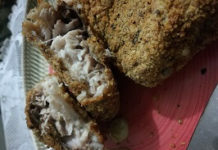 Make cutlet from each portion. Preheat the oven for 10 minutes at 200⁰c. Brush the oil in grill rack and grill the cutlets for 20-25 minutes at 180⁰c. 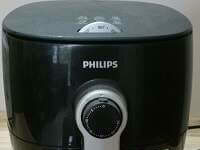 For better result use airfryer. Airfryer is very good for fry. 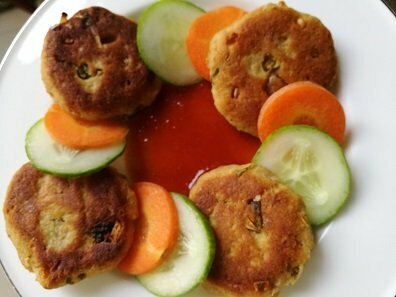 Curd cutlets are ready to eat. Good for tea time snack. Boondi is used as a sweet dish. Here I used boondi as though a non-sweetened snack, yet it makes a yummy dish. I am sure you will make this recipe repeatedly. Fry cumin seeds and dry red chili on a non-stick pan without oil until the smell comes out. Keep aside for cooling. After cooling grind them. Take 2 cups of water in a large deep bowl. Add salt to the water. Add ½ cup water to the gram powder. Beat very well and make a batter. When oil is enough heated put gram batter through a small hole colander. Fry until the color is golden brown. Take out boondi from oil and put into the salted water. Strain the boondi from the water after 2-3 minutes. Add half of grounded cumin seeds and dry red chili to the curd. Put boondi in a serving dish and spread curd over the boondi. Spread rest of grounded cumin seeds and chili over the curd. Spread mint slice over the curd. Curd recipes boondi raita is ready to serve. Serve the boondi raita as a snack. If you like my curd recipes please share my recipe with your family and friends.